BIRTHDAY PARTY APRON!!! 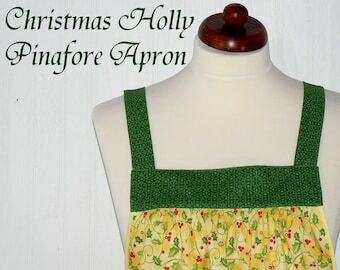 New apron perfect for those who really like to celebrate! 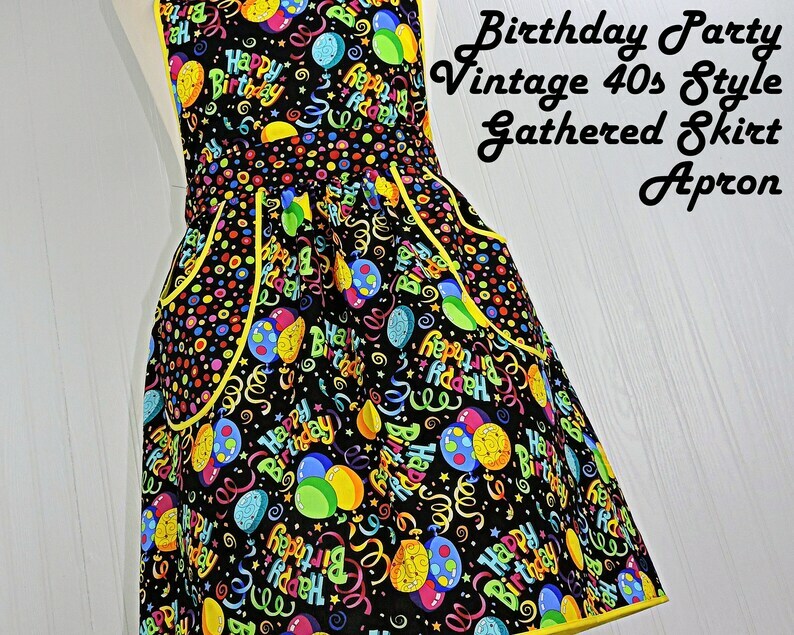 Fun, colorful birthday print fabric makes this cheerful apron perfect for all of your birthday party events! 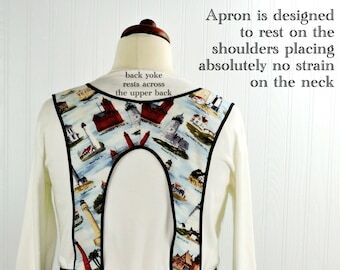 I re-imagined an apron style I made many years ago to create this apron, but added a new bib shape & also fun retro scoop pockets. 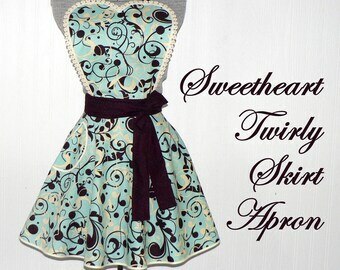 The 40s style gathered skirt joins to a waistband and features tie ends which fasten into a soft bow in back. 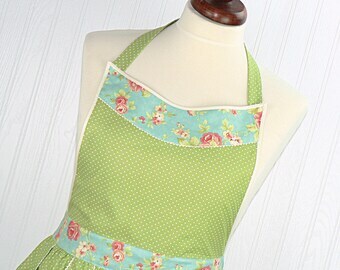 Coordinating bias binding accents the bib edges, pockets and lower edge of the skirt. 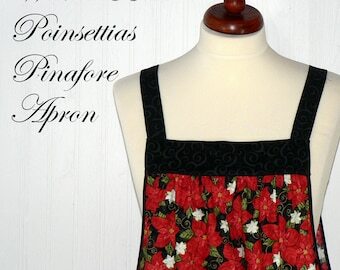 The two large scoop pockets are fully lined and double stitched to the skirt for extra durability. 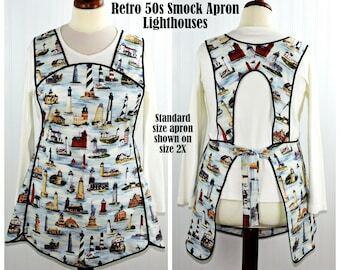 Length from top of bib to bottom of skirt is 32"